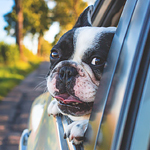 At Bill Holt Mitsubishi, we know that you care about your car and want you to be an informed owner who knows how to clean your car, especially when it gets loaded with dog or pet hair. There are various simple DIY tricks we have to offer you. We have some great but some simple cleaning tips. • Vacuuming your car with a brush attachment is probably the simplest and most effective method. • Blow up a blow and touch it to the seat and watch the static remove hair. • Put on rubber gloves, spray the seat with water and wipe the seat with the gloves. • Mix fabric softener with water put it in a spray bottle and spray it on the seat. Wipe with a paper towel, let dry and vacuum. Stop and see us at our Marietta dealership. We look forward to giving you some cleaning tips and seeing your pet!